Continuing our In The Wild practitioner series, this week we’re pleased to feature Nathalie Spencer who is a behavioural economist in the RSA’s Social Brain Centre (The Royal Society for the encouragement of Arts, Manufactures and Commerce in the UK), a team whose role is to explore how a better understanding of human nature and behaviour change can be applied to help overcome various challenges of today. 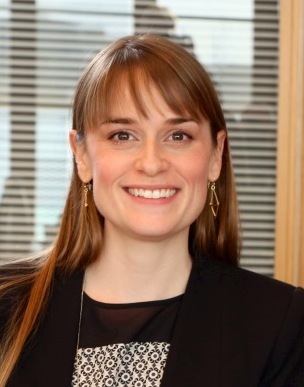 With a business degree (McGill University) and several years’ experience working in the private sector, Nathalie returned to university to complete a Masters degree in Behavioural Economics (Maastricht University), and has since been working primarily in the third sector with the RSA’s Social Brain Centre, engaged in research and writing in various areas including behaviour change, decision-making, and cognitive biases. Tell me about your work: how does decision making psychology fit in it? I work in the Social Brain Centre at The RSA, as a Senior Researcher. The Social Brain Centre uses new views of human nature as a fresh perspective on some of our most enduring and persistent social challenges. We apply decision-making psychology and behavioural science more generally to areas as diverse as educational disadvantage, innovation, climate change, and financial capability (coming soon!). Understanding what motivates people, the factors that influence decisions and behaviour, where and how we pay our attention, and the barriers to behaviour change are all key areas of focus for our team. I’m also engaged in several other projects outside of The RSA, including consulting, pro bono projects, and freelance work all in the field of behavioural science including JDM. For example, I write monthly for ING’s eZonomics website, relating concepts from decision making psychology to issues of personal finance and money management. I find writing these articles a great exercise in bringing theory right back down to a practical level. How did you first become interested in decision making psychology? At one point while commuting to work in my old career, I read Dan Ariely’s book Predictably Irrational. I couldn’t stop thinking about the book and how fascinating the research in the field was. So I realised that I needed to do something about this new-found interest and looked into Behavioural Economics programmes in Europe and the USA. Maastricht University offered an amazing programme that ticked all the boxes on my list (one year, taught in English, with a lot of student participation). The MSc in behavioural economics was so much fun and served both to deepen my understanding and to fuel my interest in the field even more. After I finished my degree, some of the professors from the programme and I ran a couple of experiments based on my masters thesis. While we didn’t get the results we expected, the experience gave me a taste for running trials and an appreciation of some of the practical constraints of conducting experiments. What type of research do you find most interesting, useful or exciting? A few years ago I would have said that RCTs in peer reviewed journals are the most useful, for their isolation of effects, rigour, and neutrality. Now, however, I appreciate white papers which have more of an injunction or discussion, and see the value in other research methodologies besides (or in conjunction with) RCTs, too. In terms of content, I’m always very interested in variations on the classic experiments or ‘games’ (dictator, public good, ultimatum, etc) which provide a fuller, richer picture of our behaviour in those settings. Something which particularly interests me right now is intrapersonal empathy gaps, because I think this concept can go some way towards improving our understanding about why it can appear as if our decisions and behaviour is at odds with our own wellbeing, and it throws up all sorts of other good questions about stability of preferences, commitment devices, and others. Additionally, I find the evolutionary perspective on our decision making and behaviour really fascinating, and am hoping to learn more about this. Do you see any challenges to the wider adoption of decision making psychology in your field? I think that some people (still) perceive these approaches as being manipulative. There is a perception that a better understanding of how we make decisions will result in abuse through sneaky or deceptive use. True, it can be used to a person’s detriment and to the benefit of the ‘choice architect’ – whether that is a commercial enterprise, a government or public body, or some other organisation. But it doesn’t have to. And, we know from the decision making psychology field that decisions are influenced by context; they never happen in a vacuum devoid of some sort of framing. So the question becomes whether you prefer decisions to be influenced by a haphazard design, as would be the case if not using behavioural science approaches, or to have some thought put into the design of the choice environment to help people to make decisions that are in their own best interest. But a consideration is still “who decides what is in someone’s best interest” (and preference instability can further muddy the waters). I think we’ll see discussions get louder around the ethical considerations of using these approaches as the field continues to grow in popularity. Outside of think-tanks, I think the relationship between academics and the rest of the world is getting stronger, perhaps thanks to the popular books such as Kahneman’s Thinking Fast and Slow which have reached a wide audience. These books pique interest in the field but also illustrate the amount of research and number of experiments that underpin the interesting insights. My impression is that practitioners and academics are working together more frequently, and this is a win-win situation. Academic consultancies, such as the Behavioural Economics Lab, can help to bridge this gap by providing the expertise to carry out experiments for organisations who want to apply insights from the field to their own work. Networking events can be an excellent way to bring together practitioners and academics (and enthusiasts!). London seems to be a hot-spot for this right now, with the London Behavioural Economics Network ‘behavioural boozenomics’ monthly meetups, and these are branching out to other key cities like New York and Copenhagen as well. I have met so many interesting people at these events, often resulting in direct collaboration. What advice would you give to young researchers who might be interested in a career in your field? Ask bigger questions. In academia you almost necessarily have to narrow your focus and investigate one very small part of a larger picture. However when working in a think-tank and hoping to influence policy makers and practitioners, you need to really understand how these insights affect the ‘real world’. You have to communicate your ideas well, in an appropriate manner to engage whichever audience you are trying to reach. In this sector, work can be more exploratory; rather than seeking to prove a hypothesis, there is value in putting forward reasonable conjectures, grounded in research, and encouraging greater discussion around and further investigation into those ideas put forward.